Can You Guess 'Who's Behind The Mask' Today? Can You Guess ‘Who’s Behind The Mask’ Today? You can win a pair of tickets to Broadway Utica’s presentation of Love Never Dies if you can tell us ‘Who’s Behind the Mask’ today. Every weekday morning from Monday, August 28, 2017 through Friday, September 8, 2017 Beth and Dave will post a picture of a local celebrity 'Behind the Mask'. If you know who the celebrity is, fill out the form for each new picture (above) for your chance to win a pair of tickets to see Love Never Dies, presented by Broadway Utica at the Stanley Theatre. Two winners will be randomly selected for each day of the contest and will each receive a pair of tickets. Winners on Fridays will be announced the following Monday. As a Grand Prize, we'll post photos of all of our local celebrities, and whoever can correctly name the most, wins a $50 gift card from Ancora and a pair of great seats for the show. FORMS MUST BE COMPLETELY FILLED OUT TO BE ELIGIBLE FOR THE CONTEST. 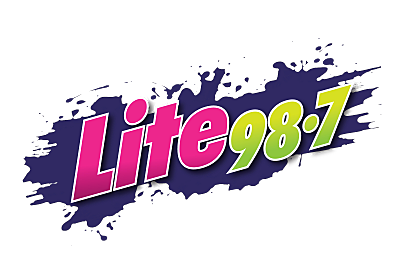 The new celebrities will be posted on lite987.com and @Lite987 on Twitter and Instagram at 7am daily. Love Never Dies is the sequel to Andrew Lloyd Weber’s smash Broadway hit, The Phantom of the Opera. Phantom is the longest-running show in Broadway’s history, currently in its 29th year of production. Love Never Dies picks up years after the events of Phantom, and follows the Phantom and heroine Christine Daae to New York, where they encounter the freak shows and excitement of Coney Island, as the Phantom makes a final bid to win back Christine’s love. Love Never Dies will make its premiere in Utica at The Stanley Theatre on 09/22, 09/23, and a special matinee performance on 09/24 as part of a North American Tour. Tickets are available by calling 315-724-7196, online at www.BroadwayUtica.com, or visit the Broadway Utica offices located in the Brian Gaetano building at 258 Genesee Street, Lobby Level.